Diane is a rising junior student at Spelman College majoring in Chemistry. She is active on campus through involving in different organizations. Diane’s most impactful organizations are UHSA (Undergraduate Health Science Academy) and ASA (African Student Association). The UHSA is an organization that helps her learn more about science fields, it helps her get research opportunities and attend different science fairs. ASA offers a different perspective because this is where she gets time to be around other students from the African continent, but most importantly allows students to share and teach cultural differences to other students at Spelman. With how courageous she is, Diane was able to secure research opportunities. She did research at UCLA in the summer of 2018 and she had an opportunity to have a research during her academic year at Spelman – which she will continue working on in the summer of 2019. 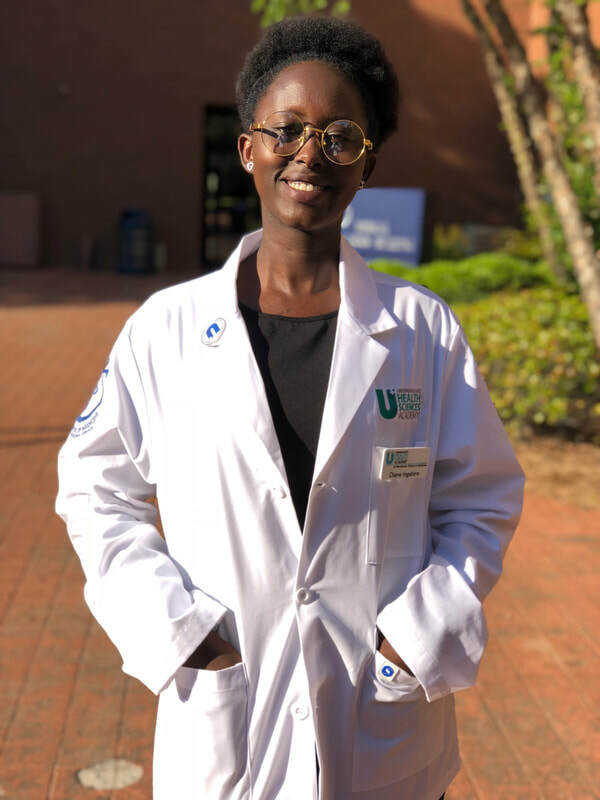 Before she joined SHE-CAN and came to the U.S, Diane had an interest in forensic science, and she managed to secure an internship in the forensic lab in Kigali where she learned different skills. Diane dreams of becoming a Rwandan forensic scientist and a role model for girls who feel they are in any way limited by their gender. In addition, Diane is incredibly passionate about education and aspires to incorporate career counseling for young Rwandans into her professional endeavors.